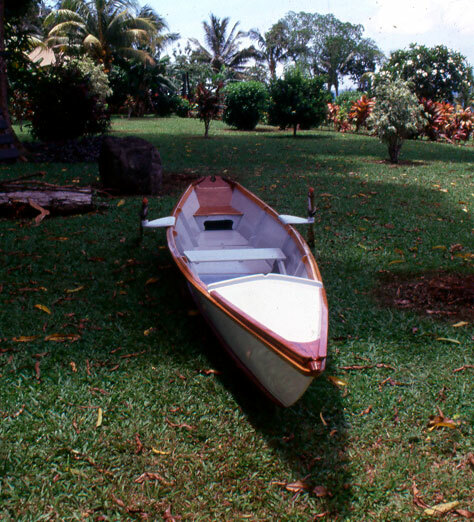 Norm Hines and Charlie Stolz designed and built this boat to be used for recreational rowing within the coral reefs of Fiji. They used local hard wood and marine plywood with a modified stitch-and-glue technique to build BUSA. It took them just four weeks using only hand tools. 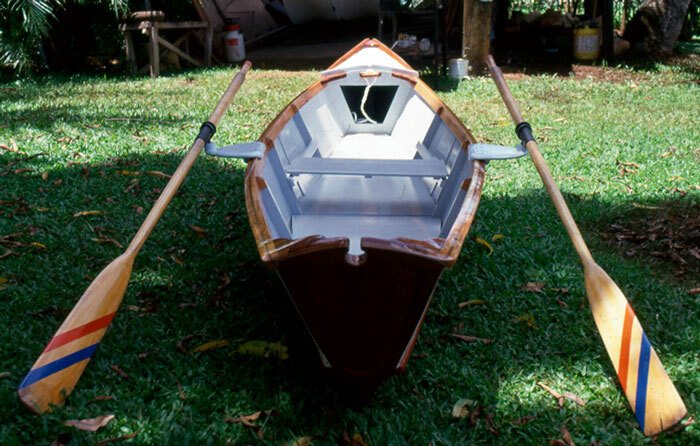 They plan to add a rolling rowing seat at a later date. 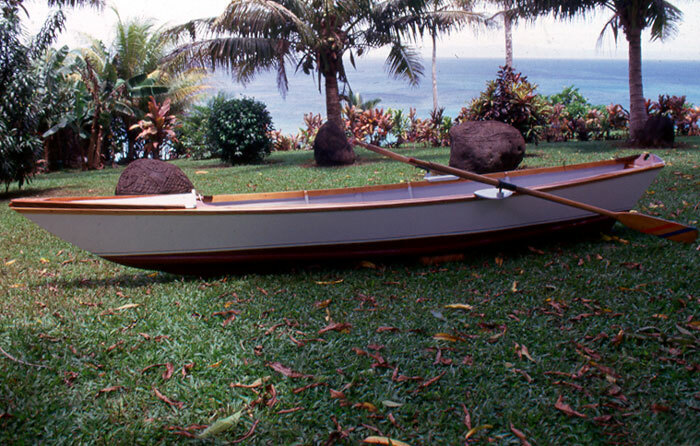 BUSA is the Fijian word for a fish that quickly skips over the surface of the water.